In early April 2018, the VNIndex hit a new record of 1,200 points – surpassing its previous peak in 2007. By June 2018, the market capitalisation of equity and debt markets reached $160bn, equivalent to the nominal GDP of Vietnam. There’s been notable foreign investment in the Vietnamese stock market – and MSCI predicts that it could be upgraded from a frontier market to an emerging market by 2020. MB Securities’ Tran Hai Ha and Le Quoc Minh discuss the prospect of an upgrade, Vietnam’s M&A boom, and MB Securities’ investment banking and advisory services in the country. This video is mostly in Vietnamese with English subtitles. World Finance: My guests are Tran Hai Ha and Le Quoc Minh of MB Securities: a leading brokerage house in Vietnam. They join me to discuss the trends in the country’s $183bn stock market, and what’s driving the new wave of Vietnamese M&A activity. How has the Vietnamese stock market been performing? What trends are you seeing? Tran Hai Ha: In early April 2018, the VNIndex hit a new record of 1,200 points – surpassing its peak in 2007. By June 2018, the market capitalisation of equity and debt markets reached $160bn, equivalent to the nominal GDP of Vietnam. In the stock market, about two million accounts have been opened so far – of which 30,000 accounts are held by foreign investors. On 10 August 2017, the government introduced the derivatives products on the stock market, marking a new milestone in the development of the market to reach international standards. Currently, the P/E ratio of the market stands at approximately 17 times, indicating a short-term expected growth of around 25-30 percent. In addition, MSCI predicts that the Vietnam stock market could be promoted from a frontier market to an emerging market by 2020; making the Vietnam stock market more attractive to investors – especially foreign investors. 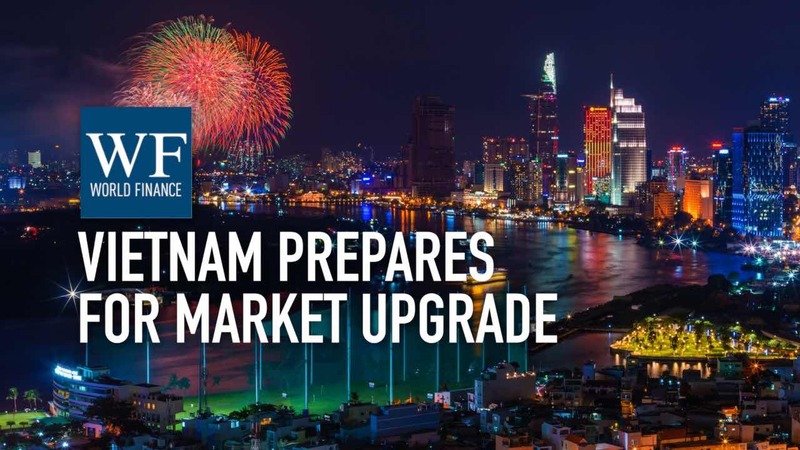 We believe that the Vietnam stock market has a huge potential to grow in the near future. World Finance: How has MB Securities maintained your top five positions on the Hanoi and Ho Chi Minh stock exchanges? Le Quoc Minh: Over 18 years in operation, we are always consistent with our goal of delivering the best securities services, and we follow this vision in every step we make. That’s the first. Second, we possess one of the strongest research teams on the market, including industry specialists and experts. Finally, being aware of the importance of online trading platforms, we have invested strongly in our in-house information technology over the last three years. As a result, we have launched highly qualified online trading services – including derivatives – on mobile and computers. World Finance: Vietnam is seeing a resurgence in M&A activity; what’s driving this? Tran Hai Ha: With a total population of 100 million, and a strong connection with about 600 million people in the ASEAN region, M&A activity has been dynamic across sectors – particularly in the retail sector, including consumer finance and fast moving consumer goods – with increasingly sizeable deals; which in turn attracts more international investors from Japan, Korea, the ASEAN region, and the EU. 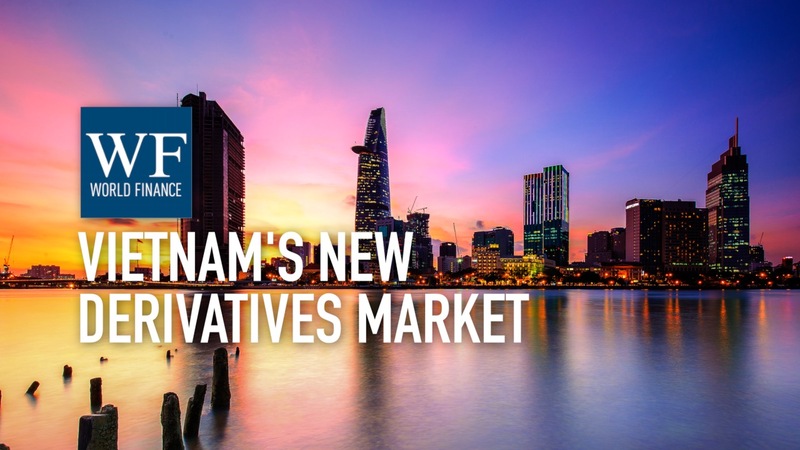 In my opinion, Vietnam will continue to witness a boom in M&A activity in the long term, given the government’s commitment to restructure, an increasing improvement of the market economy and more open government policies. Especially, under the state-owned enterprise restructuring plan, the government’s divestment of big state-owned enterprises such as Vietnam National Tobacco Corporation, Vinaconex, and Tien Phong Plastic, would bring about tremendous investment opportunities for foreign investors. For the above reasons, it is predicted that M&A activity will explode in deal values and volumes across sectors, with total estimated value of $50bn in 2020. World Finance: And how has MB Securities been improving your investment banking services? Le Quoc Minh: Over the last three years, MBS has been among the top five local investment banking services. By the end of 2018, we aim to get into the top three. To achieve that target, we create a compatible blend of talent advisors and analysts, a strong network of clients, and an extensive brokerage team. Over the last 18 years, we have built up strong relationships with large corporations and financial institutions domestically. Besides which, our team carries out independent assessments of every transaction thoroughly, which allows us to propose suitable deal structures to ensure mutual benefits between investors and clients. A strong brokerage team also helps us to bring investment banking products to as many clients as possible. Tran Hai Ha: Finally, MBS is actively involved in investment banking services, with financial and M&A advisory services available to clients. Operating as a proactive local securities firm in market, we fully understand corporate culture as well as legal systems. I strongly believe that as a local securities firm, MBS has a strong competitive advantage in M&A advisory services in Vietnam, including cross-border deals. World Finance: And what’s your strategy for the next five years? Tran Hai Ha: We continue to focus on our two core businesses, being brokerage and investment banking services. In the meantime, we will keep improving our services – especially information technology – and expanding our client network locally and internationally. In the next five years, we aim to become one of the three largest securities firms in Vietnam.